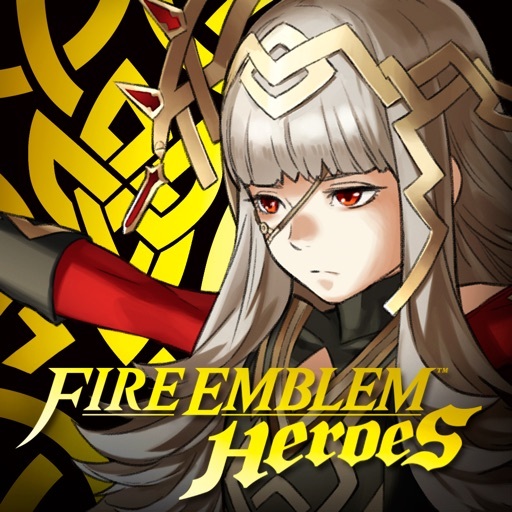 Fire Emblem Heroes (Free) by Nintendo Co., Ltd. is the third mobile game from Nintendo, following the releases of Pokémon Go and Super Mario Run. 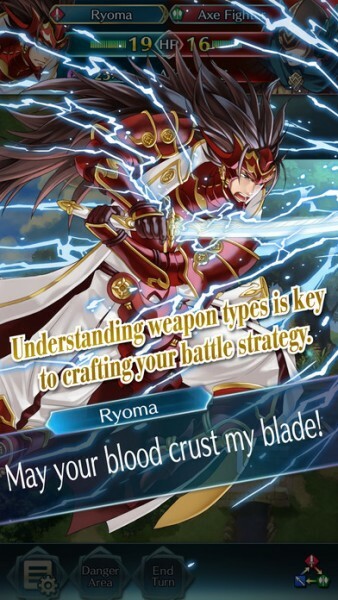 For fans of the Fire Emblem games, or just turn-based strategy RPGs in general, then Fire Emblem Heroes is definitely one that should not be missed. When I was in high school, I was introduced to my first Fire Emblem game, which was Fire Emblem: The Blazing Blade. It was from this moment that I fell in love with the intricate turn-based combat system that required much more strategy than anything I’ve played before, and the anime-style artwork for all of the characters was beautiful to behold at the time. While I found the game to be rather unforgiving with the permanent death for fallen allies (there was only one difficulty level at the time, and I lost several important heroes), I still enjoyed playing it, though I do recall needing some help from my boyfriend at the time for tougher battles. Since then, I’ve picked up a few more Fire Emblem games for the systems I have (but not all), and have thoroughly enjoyed them. When I heard a few weeks ago that they were coming out with a mobile version of Fire Emblem, I was pretty excited — the touch screen would be a great and intuitive control scheme for the classic combat system that the franchise is known for. Now that it’s here, I have to say, I’m not disappointed. 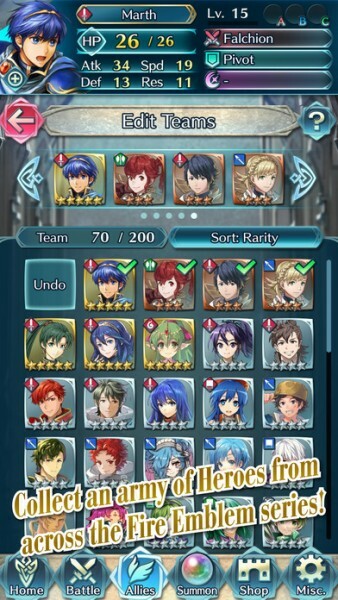 Visually, Fire Emblem Heroes is downright gorgeous. If you’ve played any Fire Emblem game before, then you will feel right at home with the game’s beautiful graphics, ranging from the shiny menus to the detailed maps and arenas. One of the biggest improvements, though, is the artwork for each of the hero characters that you’ll come across, which include all of the older heroes from previous games as well as some new ones just for Heroes. 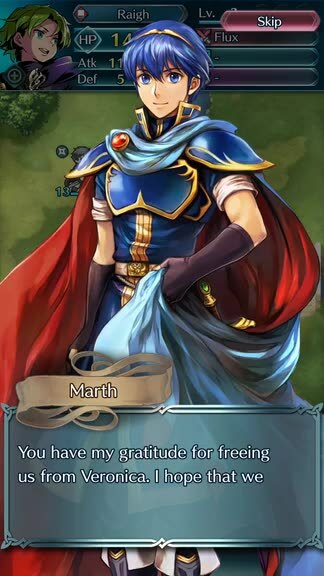 I feel that the art for previous heroes has been revamped, so they all look even better than the games that they were in before. However, during battle, all character sprites are done in a more anime-like “chibi” style, rather than the pixelated sprites from previous Fire Emblem titles. Animations in the game are buttery smooth and fluid, so there is no lag on my iPhone 7. The game’s music is also just as you’d expect from a Fire Emblem title, so it’s rather captivating and exhilarating, especially when you’re in the midst of a battle. On top of everything else, there is fantastic voice acting for all of the characters that you’ll hear throughout the game, which is nice. Since Fire Emblem Heroes is a free-to-play game, it does have an energy system, which is referred to as “stamina” here. Each battle you go will cost some stamina, but it replenishes over time, so it’s not too bad. You can also earn orbs that can be used to recruit allies (heroes from other Fire Emblem games), crystal shards that help you level up characters faster, and dueling crests for PvP duels against players from all over the globe. In the beginning, you’ll only have access to the story maps, but eventually more areas get unlocked for you as you play, including Special Event Maps, Arena Duels, Training Tower, and more. 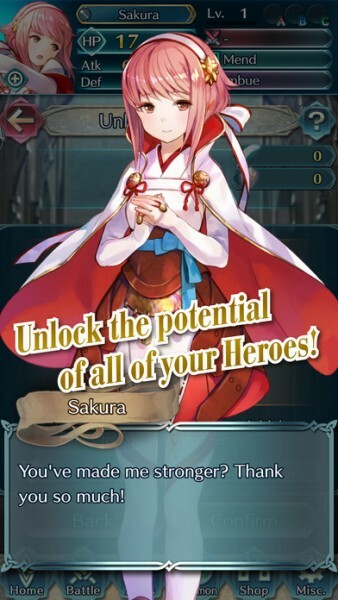 As you successfully complete missions, you can earn rewards, such as orbs or crystal shards, and sometimes new heroes will join your army after you defeat them. 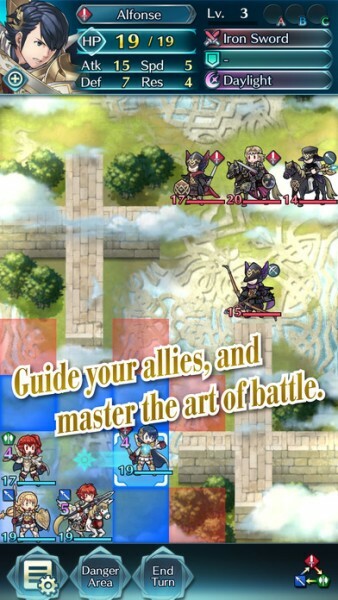 The combat system in Fire Emblem Heroes follows in the traditional Fire Emblem style, which takes place on a grid and is turn-based. Players take their turn first, moving all of their units and attacking if possible, before the enemy takes their turn. 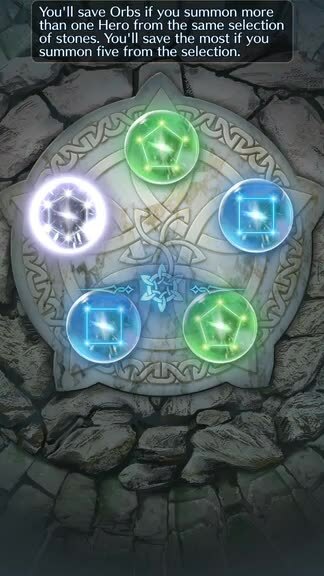 To move your units on the grid, just tap on the hero you want to move, and then you’ll see squares highlighted in blue or red — the blue indicates where they can move to, and red shows their attack range. If an enemy is within range, you can just drag your hero on top of the enemy to attack. You can also do the same with allies, except that will reinforce the target’s attack (or heal them if you have a healer) rather than damage them. Buttons at the bottom of the screen let you view danger areas and end your turn without moving or taking action if need be. I found the touch screen to work much better than previous iterations, since everything feels faster, rather than having to trace your path one square at a time with physical buttons. And once your heroes special abilities are charged up, they’ll perform them automatically on their next attack, which is much more streamlined. Each character on your team has the potential to level up and become stronger. 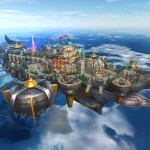 However, to do this, each individual hero must perform an action (such as attack an enemy) to gain experience points, as it isn’t like Final Fantasy where all team members get experience points at the end of a battle. For those who are new to Fire Emblem, it’s important to remember the weapon triangle system, because that shows what each weapon type is strong against and weak to, and this is key to successful battles. Essentially, lances are strong against swords, swords are strong against axes, and axes are strong against lances. 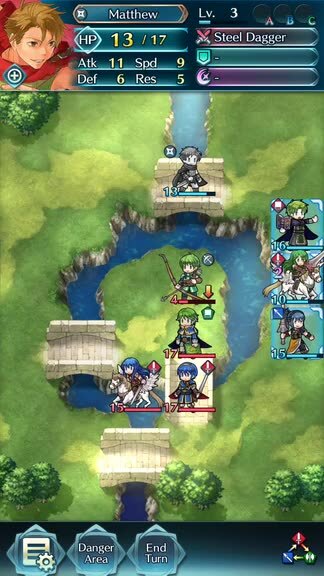 Bows are great against flying units (pegasus and wyvern knights, for example) but they can only attack from at least two squares away, and tome users can only do ranged attacks as well. I’m still early on in the game, but I’m pretty happy that I can finally play Fire Emblem on my iPhone. The graphics look amazing on Retina screens, the artwork for characters and battle sprites is well-done, the music and voice acting is incredible, and the controls for combat feel much more intuitive on touch screens. The game is also pretty generous with giving you the premium currency at a steady pace, but you can also purchase more if need be. The story is fairly captivating and there are plenty of other modes to keep you busy for a while, and overall the game is great for both newbies and veterans alike. 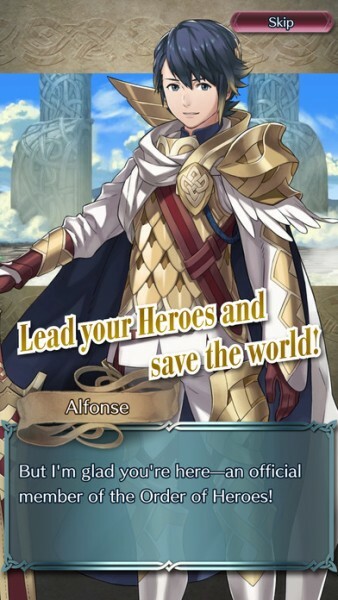 I highly recommend checking out Fire Emblem Heroes if you’re a fan of Fire Emblem or turn-based strategy RPGs in general. 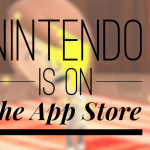 You can find Fire Emblem Heroes on the App Store as a universal download for your iPhone or iPad for free with in-app purchases.